Release Date:04/21/2017;Notes:Limited clear vinyl LP pressing. The brainchild of visual artist Jordan Belson and electronics polymath Henry Jacobs, the Vortex Experiments ran from 1957 to 1960, first at San Francisco's Morrison Planetarium and later at the SF Museum of Art. The very name of these events announced their aim: a swirling totality of sensory experience. Around Belson's richly-colored visuals - making use of the planetarium's entire dome and featuring luminous, sharply geometric imagery projected through an array of devices - Jacobs ringed a system of roughly 40 multidirectional loudspeakers, each of which could be precisely controlled to produce, in the words of one reviewer, "a living theater of sound and light." 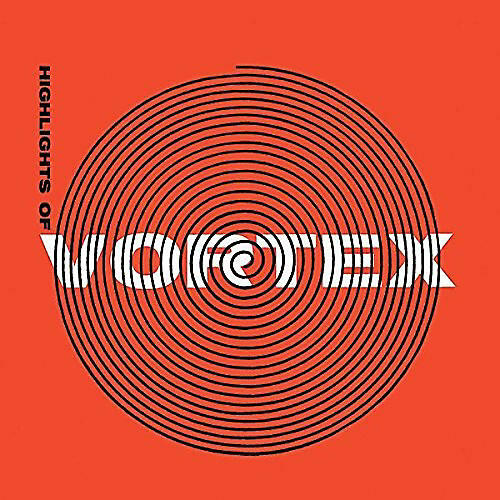 A landmark recording in the history of electronic tape music and an engrossing artifact of proto-psychedelia, Highlights Of Vortex gathers recordings designed for the Vortex system by Jacobs and collaborators David Talcott, William Loughborough, and Gordon Longfellow. Source material including free improvisation, field recording, classical Indian instrumentation, West African polyrhythms and musique concrète is transmogrified through tape manipulation, atomizing swathes of reverb and delay, and other live and recorded effects, making dramatic use of the monumental Vortex soundsystem.